When you need to mount your VENICE camera on a drone, stabilizer, or fit it into a tight space, the Sony Rialto Camera Extension System enables you to remove the sensor block and extend it up to 18' away from the camera body with no loss of image quality. This allows you to acquire images remotely with the same 6K image quality and functionality the VENICE is known for. Not only does the Rialto maintain all the VENICE's functions, it also adds an SDI monitor output and power output at the sensor end of the extension. The 12/24 VDC output enables powering accessories, and the monitor output is useful for an on-camera monitor when hand-holding the sensor block case. The sensor block case also features mounting holes on all top, bottom, and both sides as well as the back, for mounting onto camera supports or handheld rigs. The Rialto works with any VENICE camera body provided the camera has the version 3.0 firmware installed. The Rialto can work with any VENICE camera provided that the camera is equipped with version 3.0 firmware, which is a free download from Sony if your camera has a previous version. There is no degradation in image quality when using the Rialto whether shooting with the standard 9' separation or using the extension cable for a maximum 18' of separation. Separating the camera body and image sensor block by up to 18' provides flexibility when filming with gimbals, handheld, in helicopter/underwater housings, with custom rigs such as those used for 3D/VR content and shooting scenes in confined spaces such as vehicles. The separated image block weighs just 4 lb with PL mount and 3 lb with E-mount. The CBK-3610XS does not compromise any of the camera's features as it preserves the use of all the advanced features the VENICE offers, such as its built-in 8-step glass ND filter system and Dual Base ISO. In addition to being able to mount the sensor in places the VENICE would not otherwise be able to fit into, the Rialto adds an HD-SDI output as well as either 12 or 24 VDC output for powering accessories such as lens servo motors and monitors. The VENICE camera body plate has a 24 VDC input connector (Fischer 3-pin). This makes it possible to provide 24 VDC output at the camera head using a Fischer 3-pin cable. When 12 VDC output is required, the Hirose 4-pin connector on the VENICE camera can be utilized by using Hirose 4-pin to Fischer 3-pin cable. 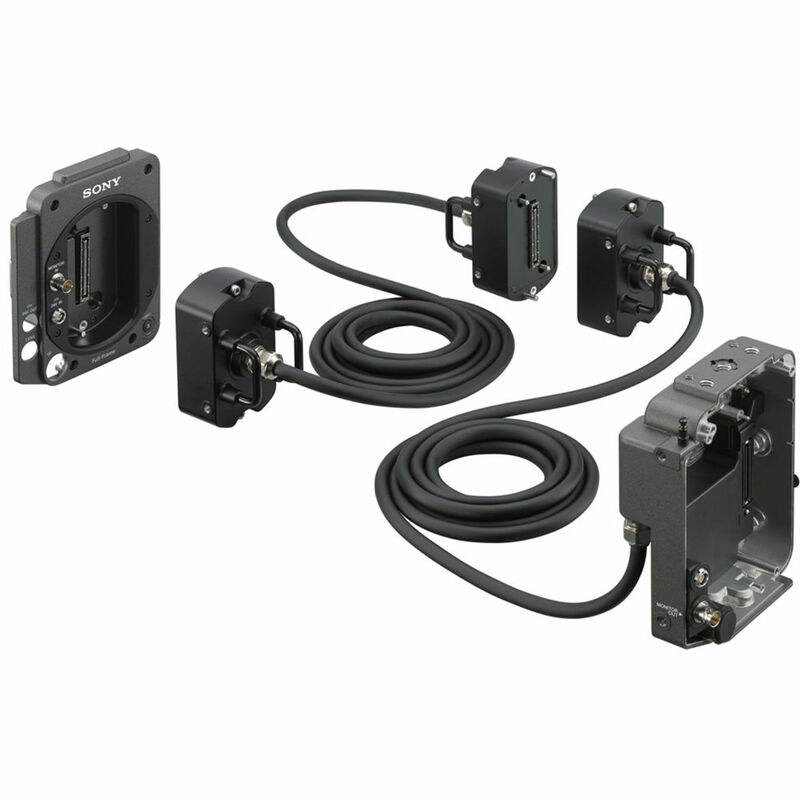 The Rialto components feature multiple 1/4"-20 mounting points, while the sensor block case also features 3/8"-16 mounting points.